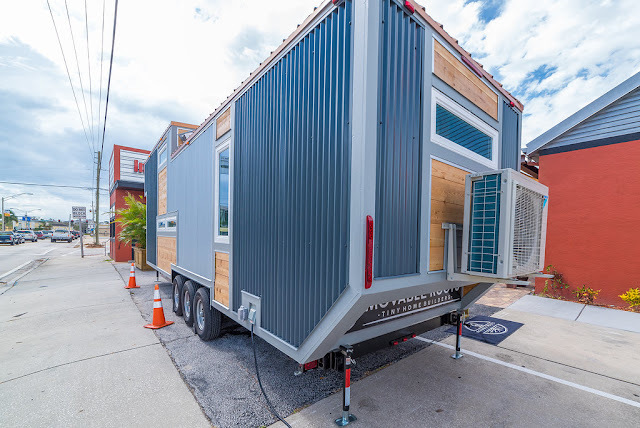 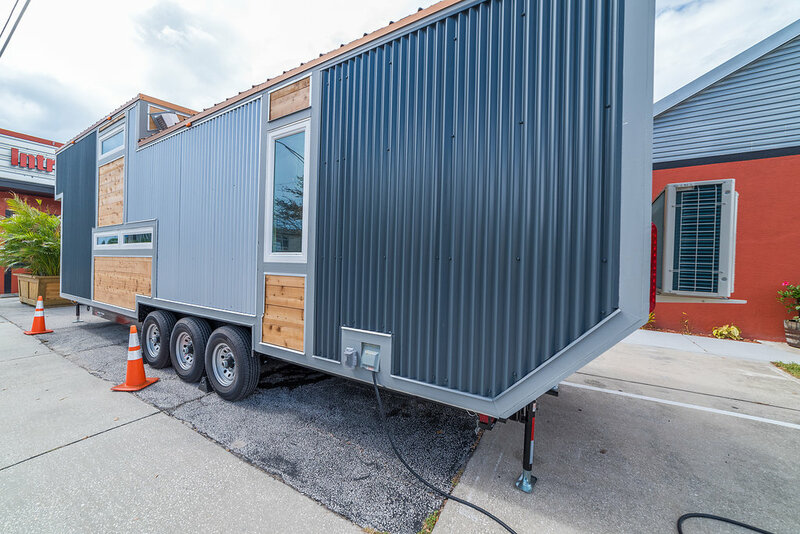 The Henderson is a 330 sq. 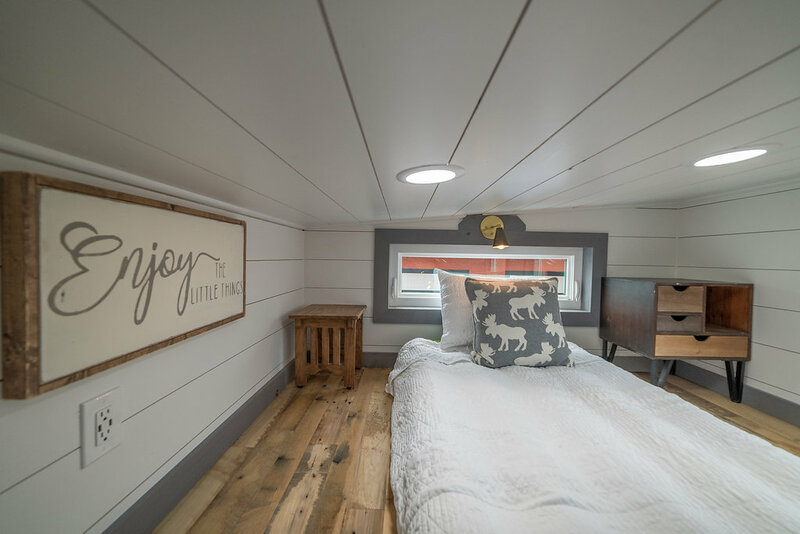 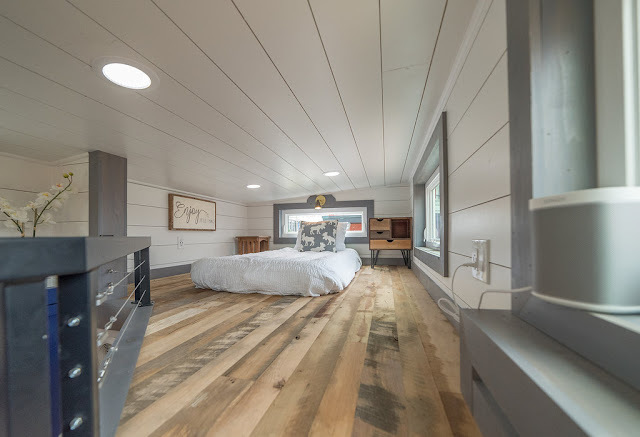 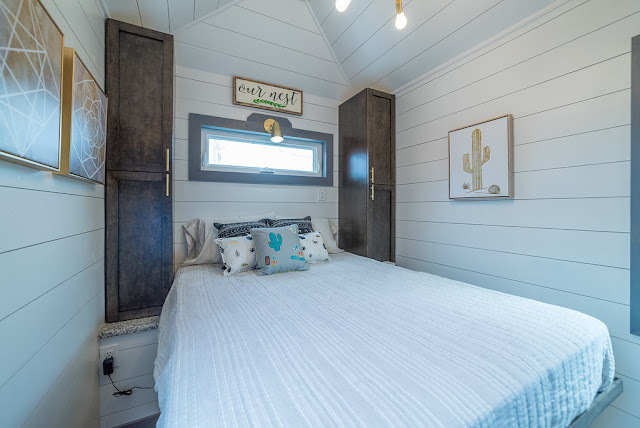 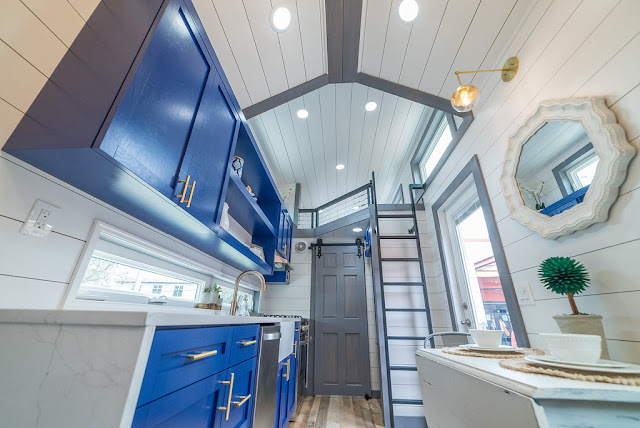 ft. tiny home built by Movable Roots Tiny Home Builders, and it sits on a 30’ trailer that has a 2’ extension on both the front and the back. 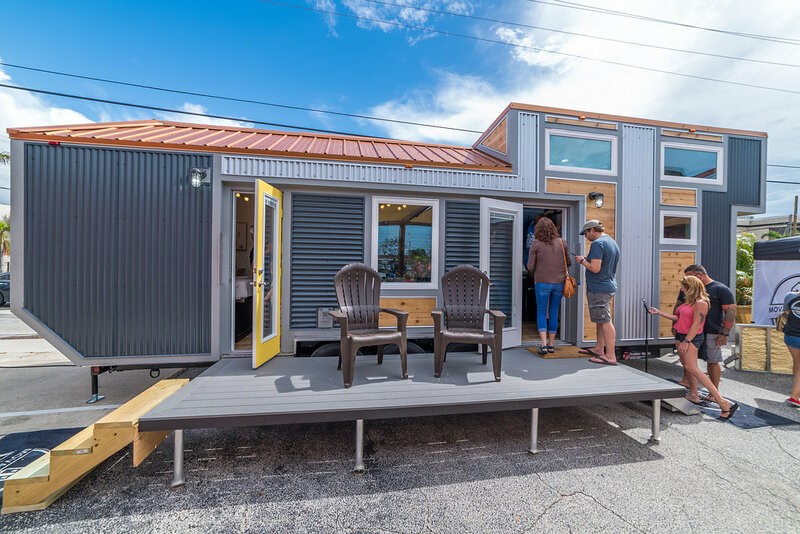 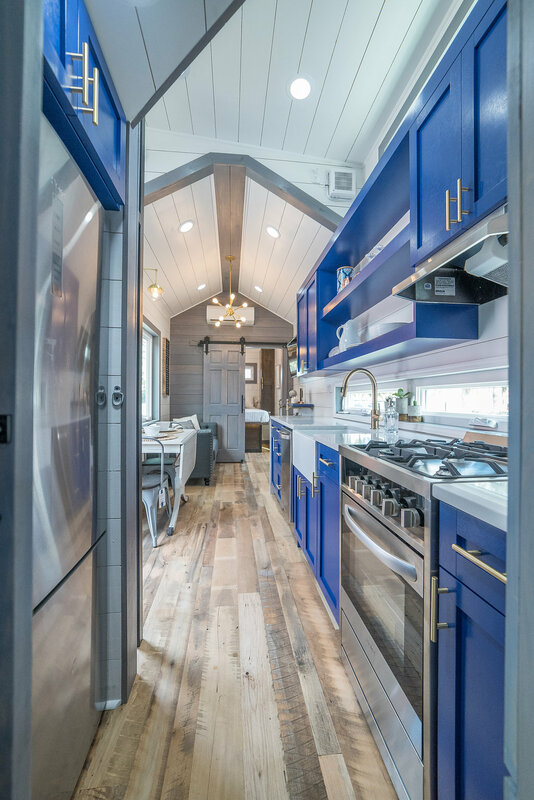 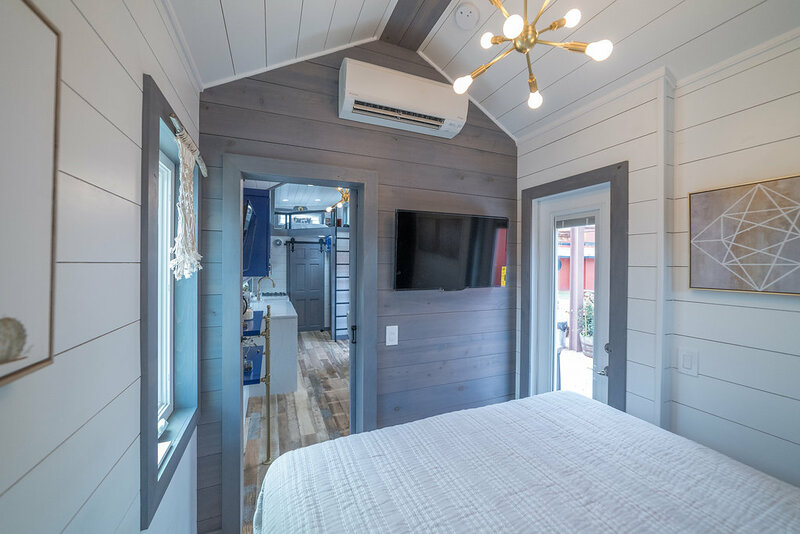 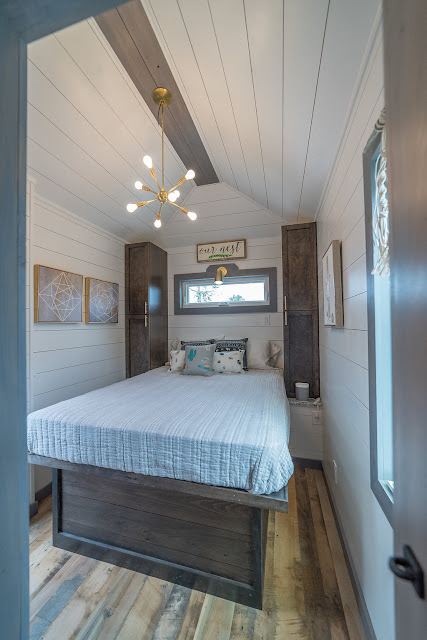 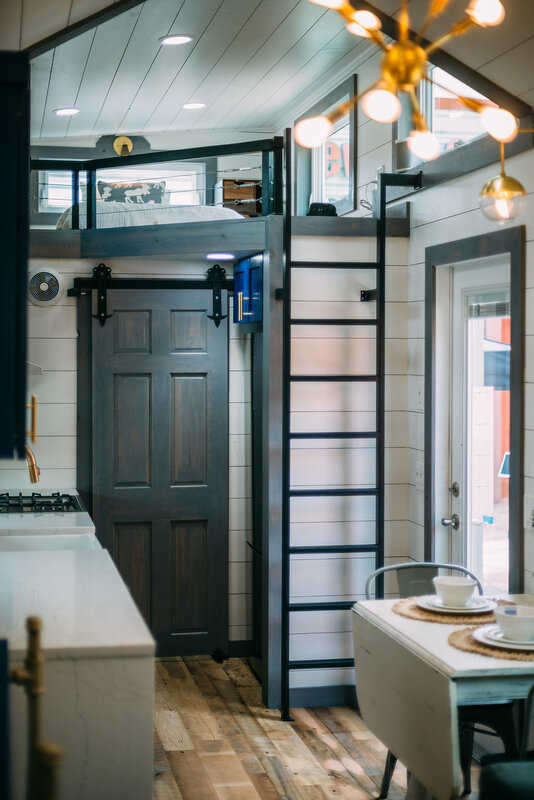 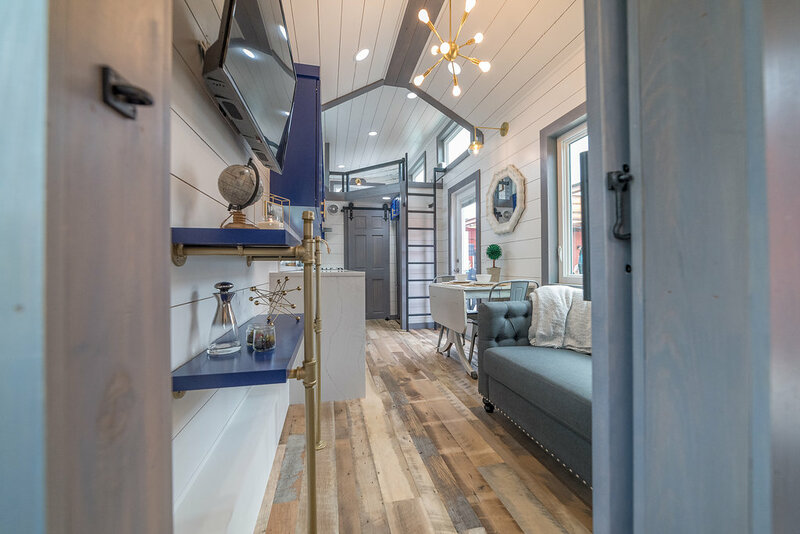 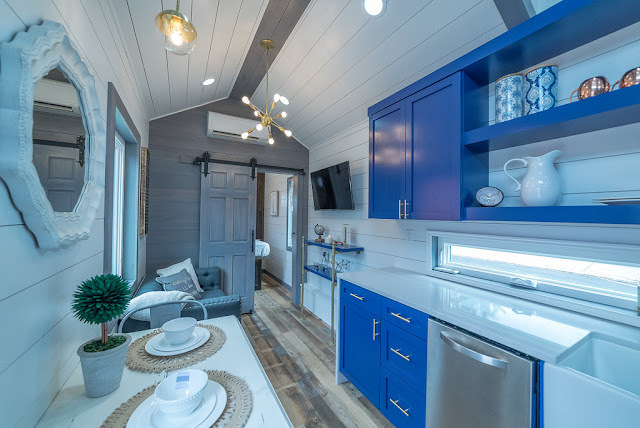 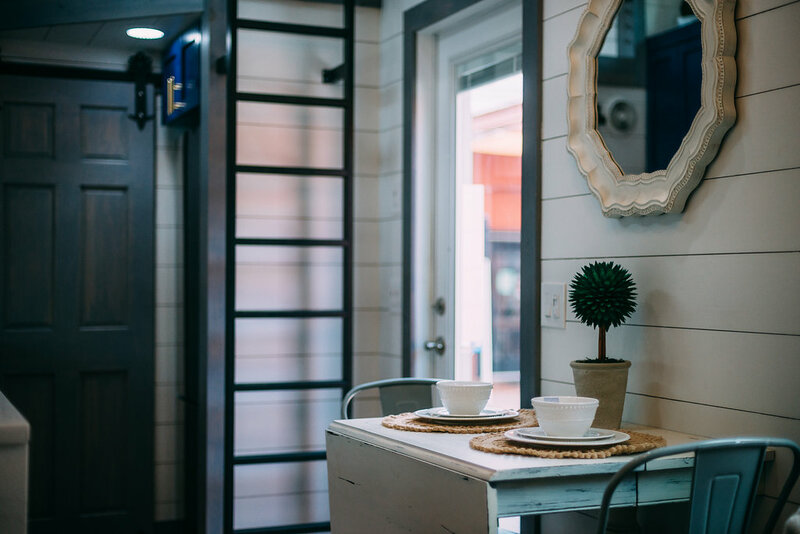 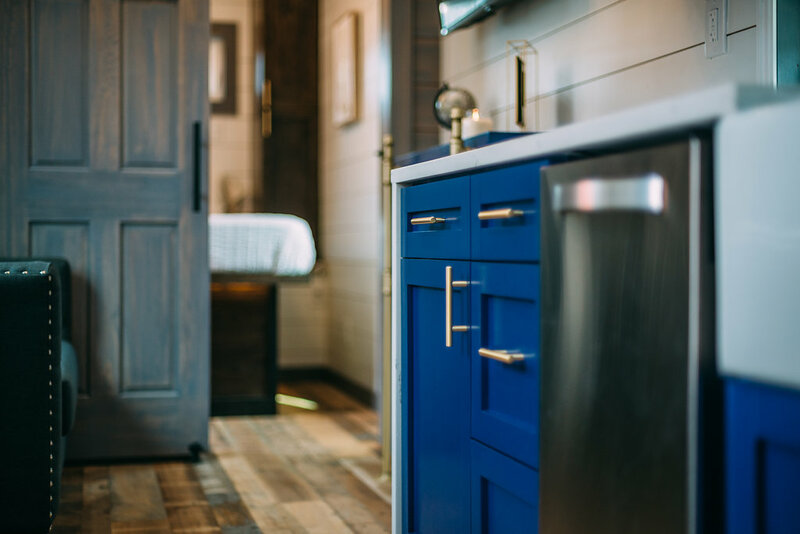 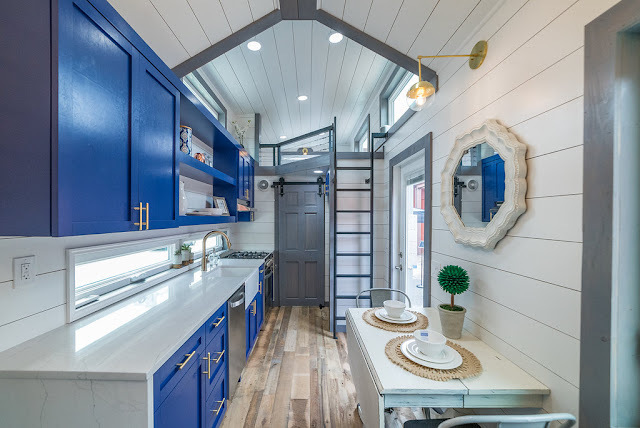 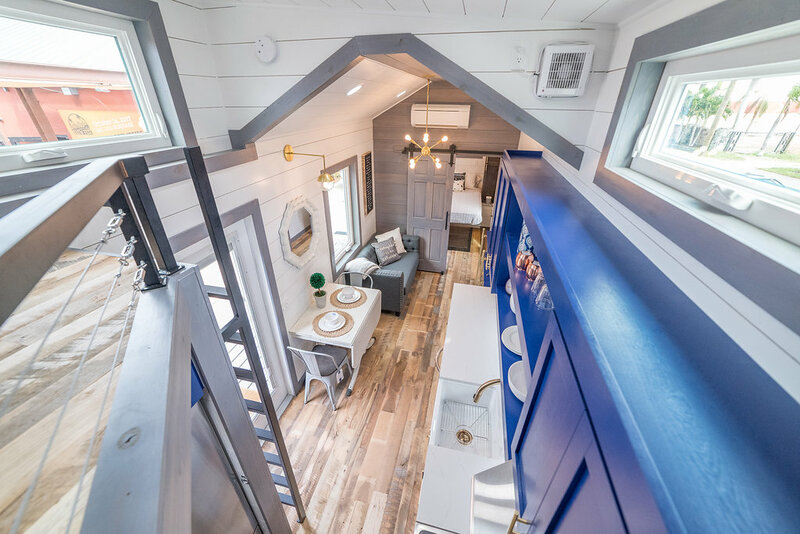 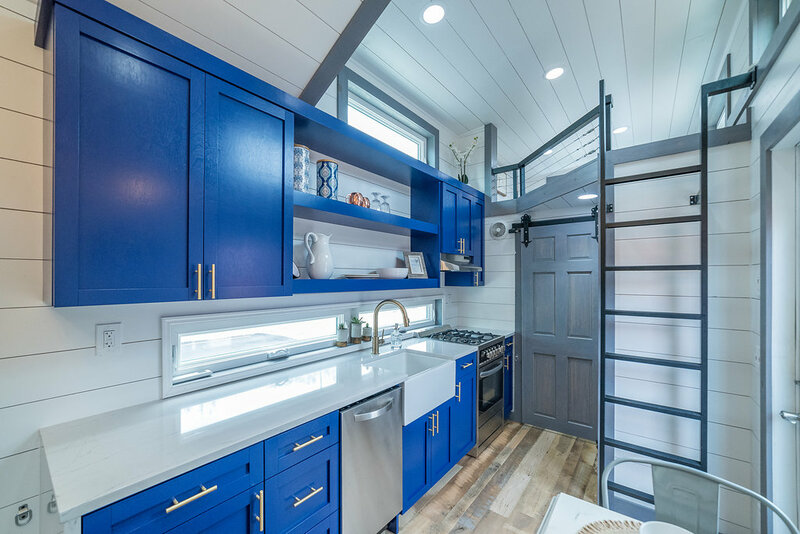 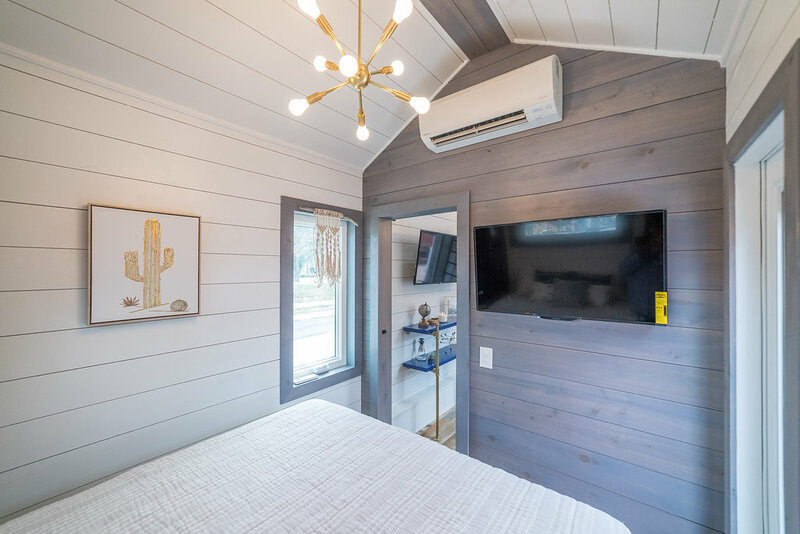 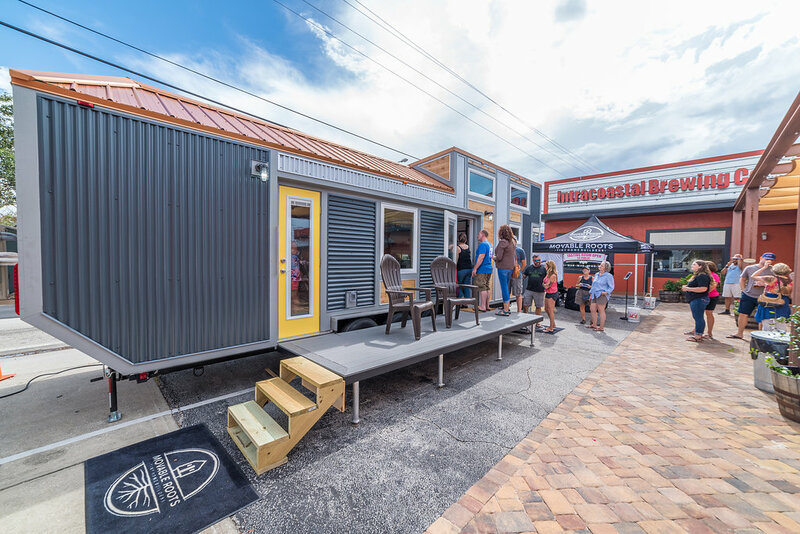 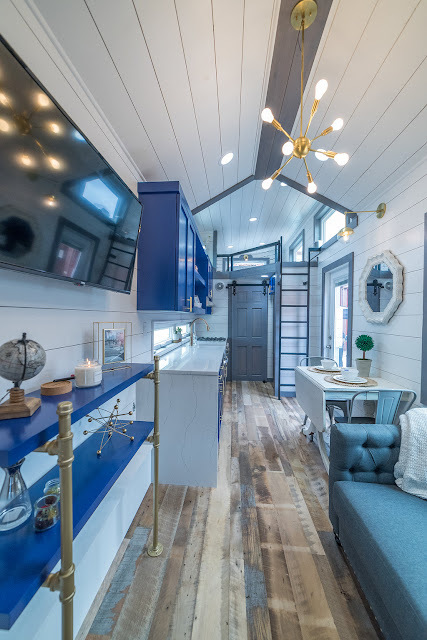 This tiny house is modern, spacious and the perfect inspiration for the tiny house you’re thinking of owning! 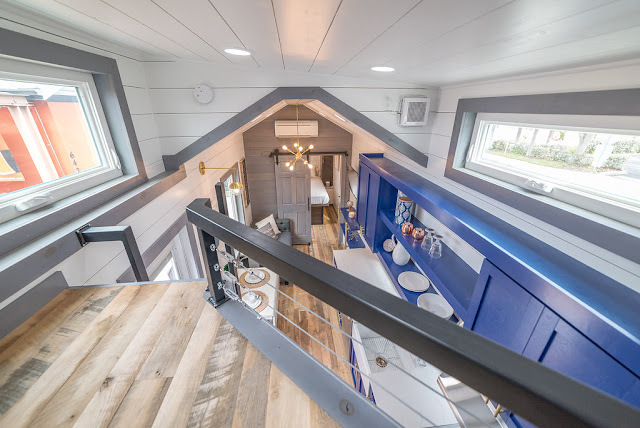 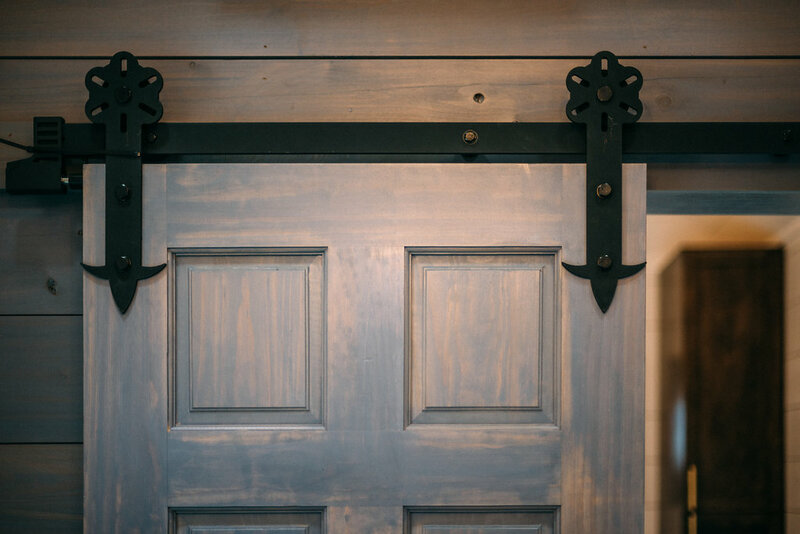 When you walk into the home, the living/dining room and master bedroom are on the left, the kitchen is straight ahead and the bathroom is on the right near the stairs that lead up to the lofted bedroom. 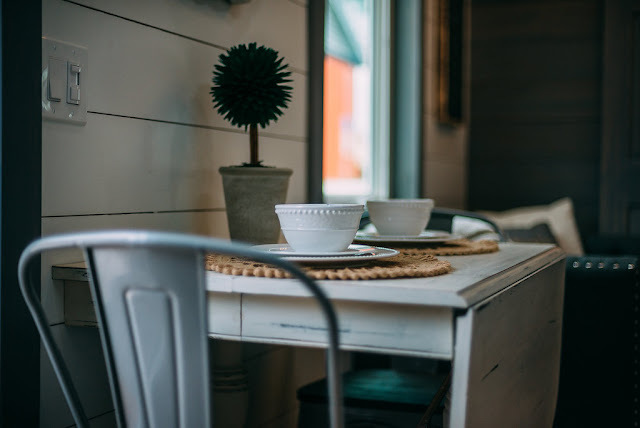 In the living/dining room, you’ll see a sofa, wall mounted television, large windows and a dining table paired with 2 chairs. 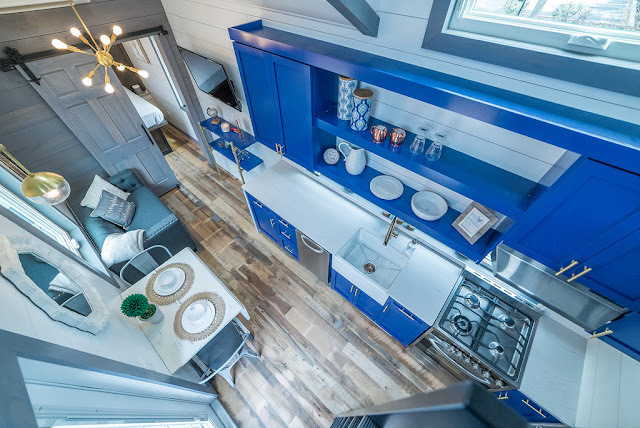 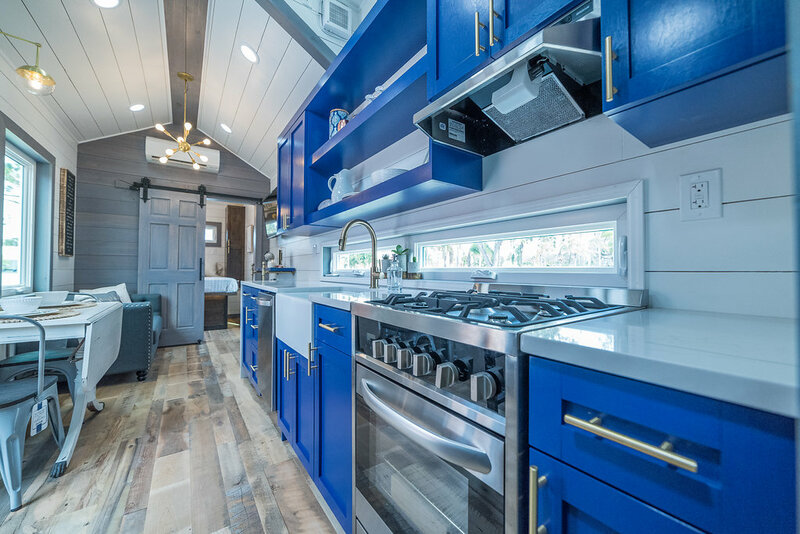 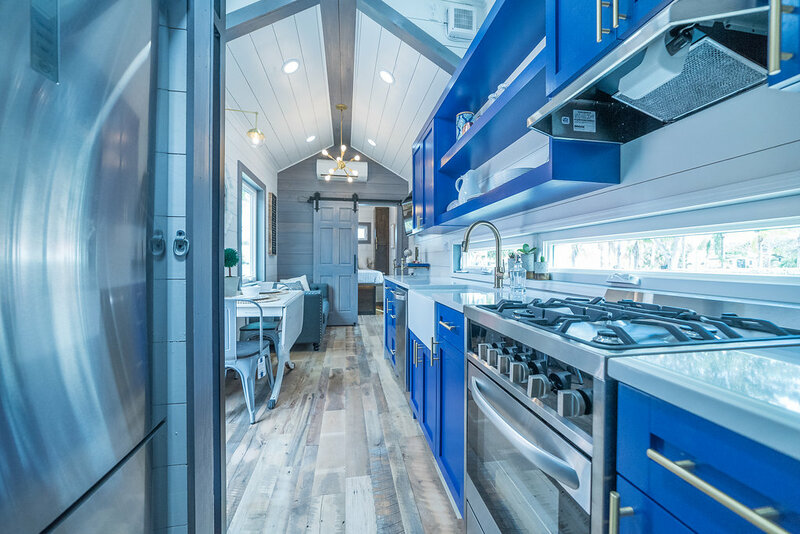 In the kitchen, you’ll see custom blue cabinets, white countertops, a 4-burner stove/oven, dishwasher, farmhouse sink and refrigerator. 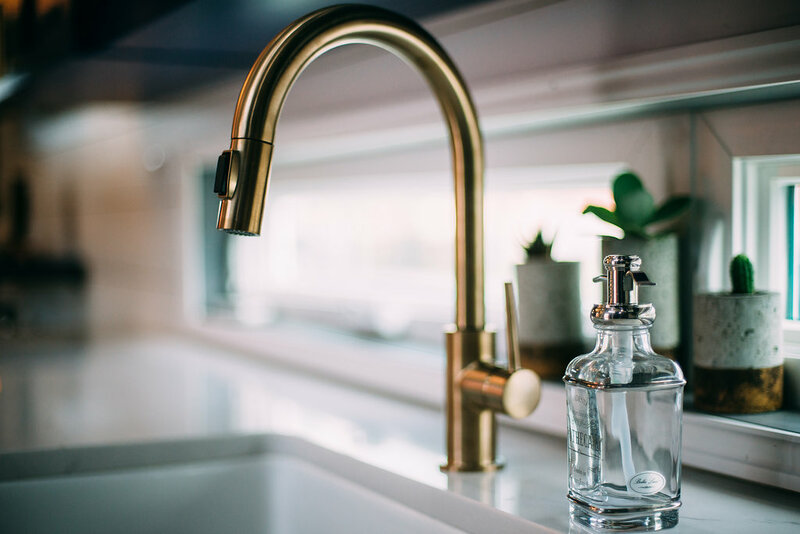 All appliances are quality, stainless steel. 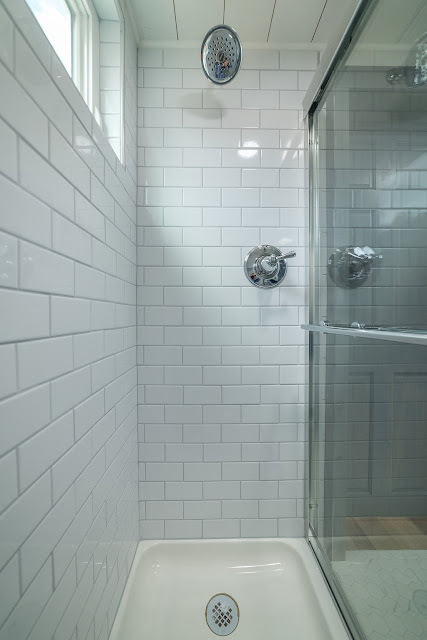 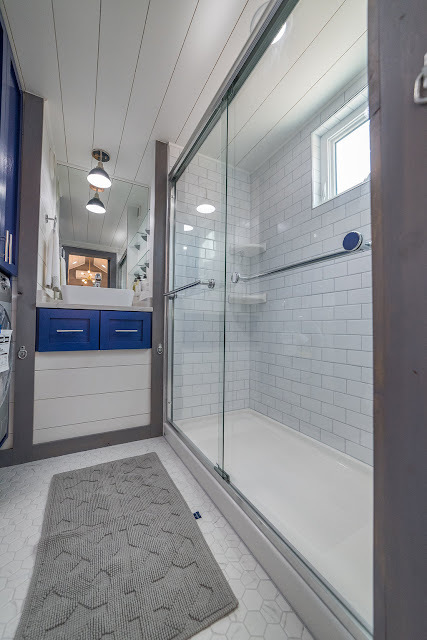 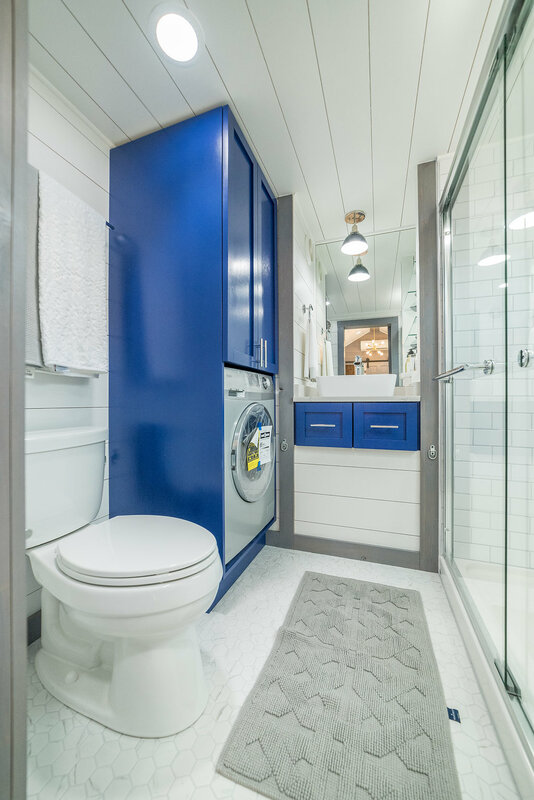 The full-sized bathroom on the right of the home features a walk-in, white, tile shower with a sliding glass door entrance, white sink, blue cabinets and drawers for storage (like in the kitchen), toilet and washer/dryer combo. 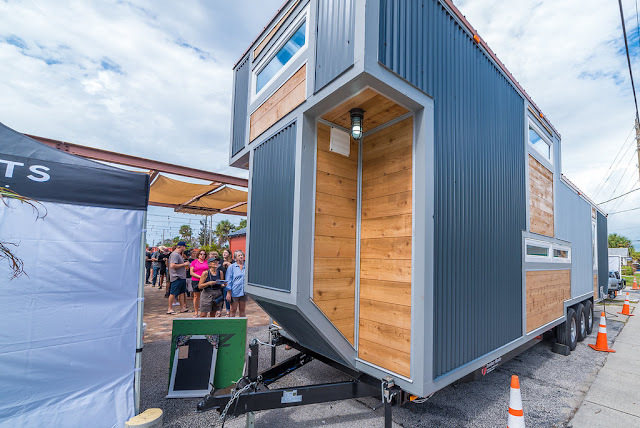 For more information and/or inquiries, contact Movable Roots here!